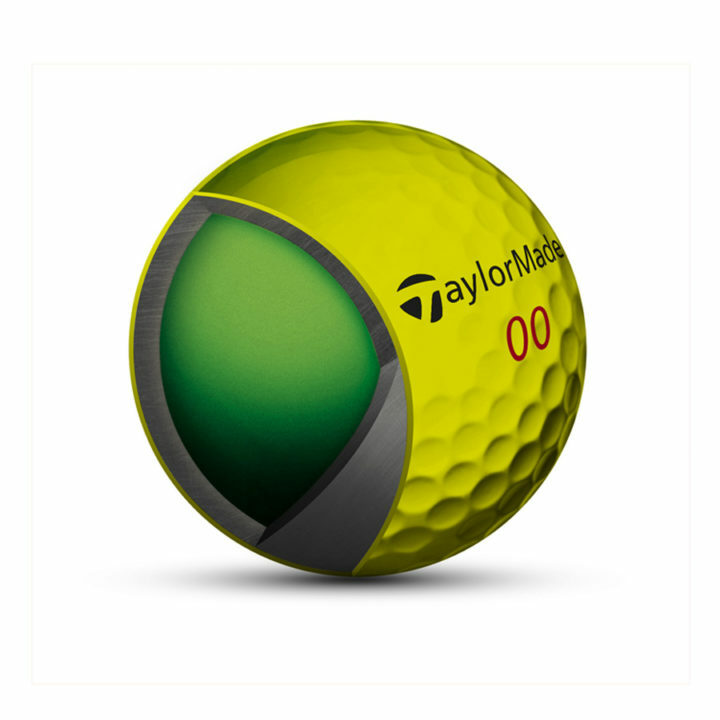 The new Project (a) Yellow’s dual core design is comprised of a larger, softer-inner core, which scrubs off unwanted spin while providing great feel. The stiffer outer core allows for increased rebound and velocity. In addition to reducing driver and long iron spin, the stiffer outer core also aids in pinching the soft cast urethane cover between the clubface, creating more greenside spin.